AAUW Lock Haven is pleased to have participated in Lock Haven University’s first annual Martin Luther King Jr. Day of Service. 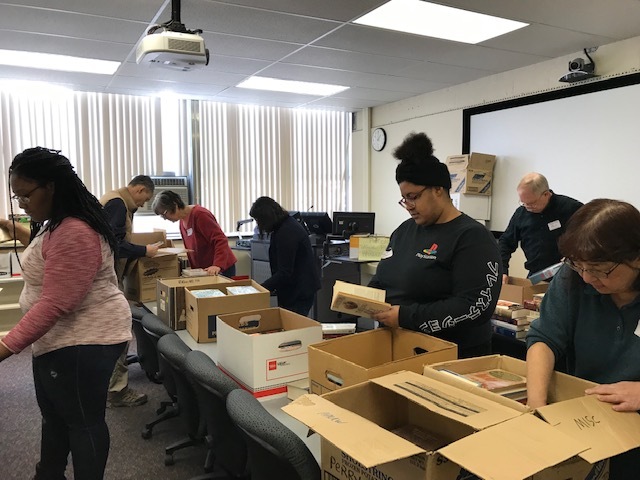 Over 20 faculty, staff, students, and community members joined the branch to help price and sort books for our annual used book sale, which supports literacy in Clinton County and raises funds for scholarships women students in Clinton and Lycoming counties. Volunteers help price and sort books for the AAUW Lock Haven book sale.